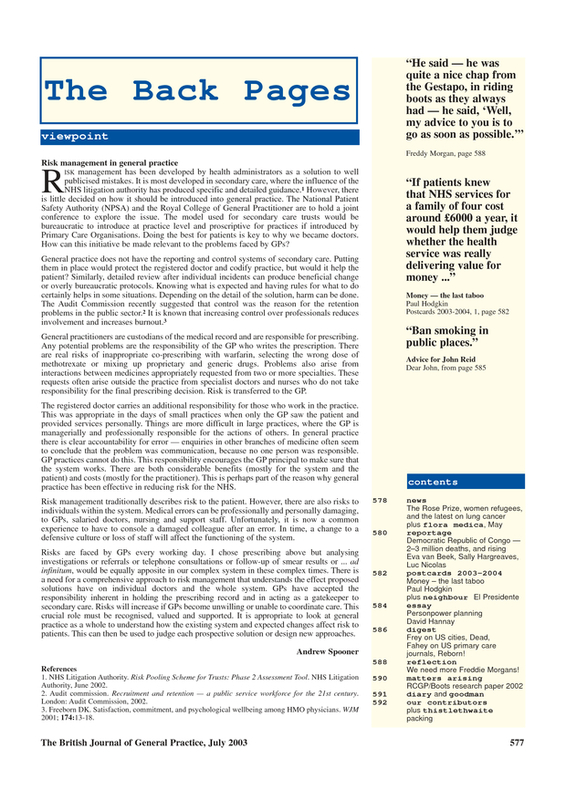 Risk management in general practice. Br J Gen Pract 2003; 53 (492): 577. You are going to email the following Risk management in general practice.